This month has been zooming by, and I just realized that I forgot to post my plans for June. 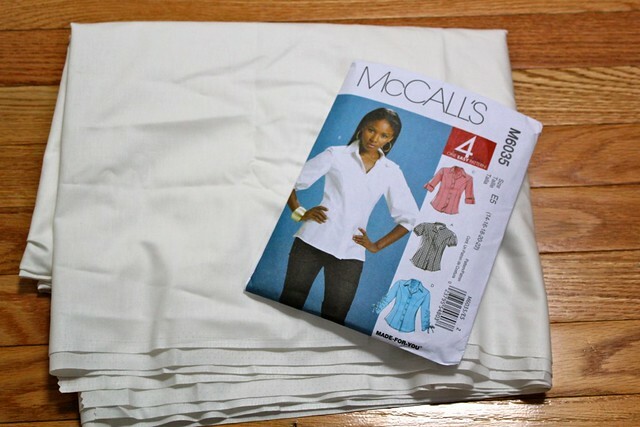 I'm planning to make McCalls 6035, View C, in some white cotton broadcloth. Right now, I'm working on fitting the pattern and getting very close to being ready to cut into my fashion fabric. It's a busy week for me so I'll be lucky to actually finish this by the end of the month, but I know I'll get a good start on this project before the month is officially up. You can read more about my plans and other things I've been up to on my blog. What a lovely shirt you have chosen - take your time so that it works nicely for you. Good pattern choice. Everyone needs a well fitted white button down shirt. Can't wait to see your final product! great combination...going to look wonderful!